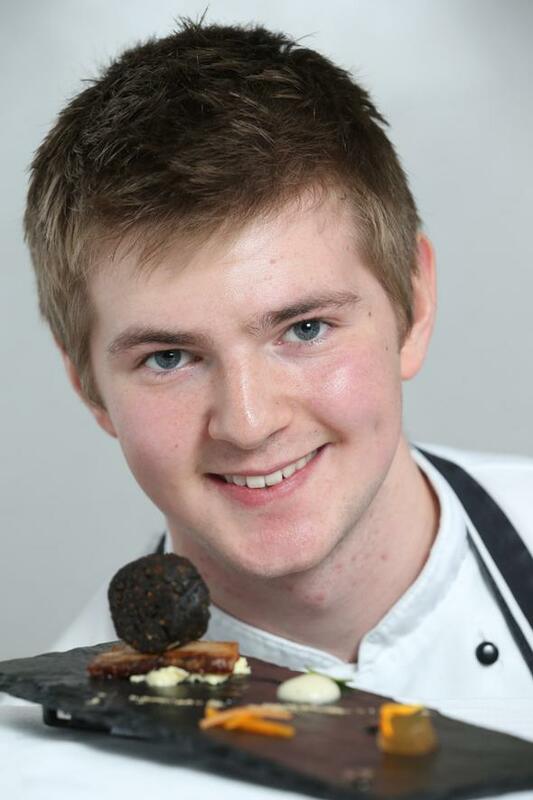 Jack O'Keeffe, a 2nd Year Culinary Arts Degree student from the Department of Tourism & Hospitality reached the final of the prestigious 'Euro-Toque Young Chef of the Year' which was held in the Michelin Star 'Chapter One Restaurant' in Dublin on 25th November 2012. Jack was one of 5 selected finalists, from a nation-wide search and had to cook his selected dish for a panel including Dublin born Trevor Moran, Sous Chef at the 2 Michelin Star 'Restaurant Noma' in Copenhagen which was voted "Best Restaurant in the World" by Restaurant Magazine in 2010, 2011 and 2012, and he was accompanied by prominent Irish Chef Ross Lewis. Adrian Gregan, Head of the Department of Tourism & Hospitality at CIT commented "Having reached the final in such a prestigious competition, at such a young age and while still a student here with us at CIT, we are very proud of Jack's achievements." Jack works as a Commis Chef in Springfort Hall in Mallow, while studying at CIT. In keeping with his love for unique local products, his favourite ingredient is 'Jack Mccarthy's Fresh Blood Black Pudding' from Kanturk and he incorporated this into his competition dish.